I27 Frontage! Large lot that is fully fenced with chain link fence. Property has all utilities in place and has 2 access points off the I27 frontage road between Georgia and Moss. Building is open perfect for mechanic shop, car lot, storage, small retail business, or any trade business such as cabinet shop! 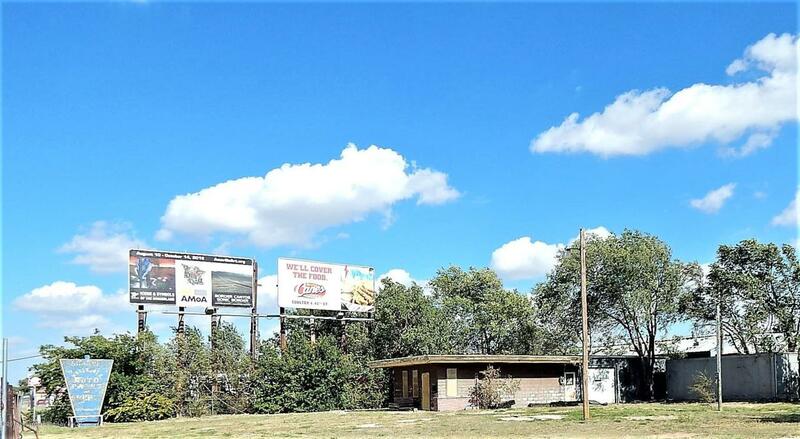 Two billboards are owned by the property owner and leased yearly to Lamar. Listing provided courtesy of Cindy Hays of Landmark Realty Amarillo.